The Market Lady, Lane McConnell, will visit the Cabool Farmers Market in Cabool, Mo., on Wednesday, May 18. The Market Lady and video crew will begin at 11:15 a.m., with two cooking demonstrations incorporating products from the market and will be interviewing producers and consumers for various other segments. One recipe The Market Lady will be preparing at the market is Strawberry Soup. Below find one of the recipes The Market Lady will be preparing. Be sure and come out the Cabool Farmers Market on May 18 to meet The Market Lady and join the market event in downtown Cabool. 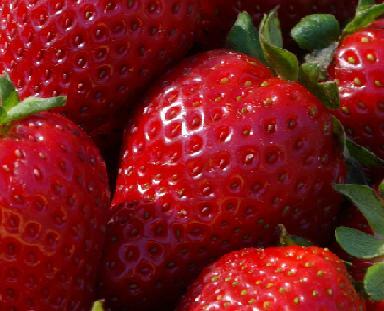 Blend strawberries in blender until smooth. Slowly add vanilla yogurt and keep blending. Pour strawberry mixture into large bowl. Add cream and vanilla and stir until blended. Chill in fridge for at least 1 hour. Before serving garnish with a fresh strawberry or a mint leave. Serve in soup bowls.